Are you unhappy with the way your teeth look? If so, there’s a simple solution. 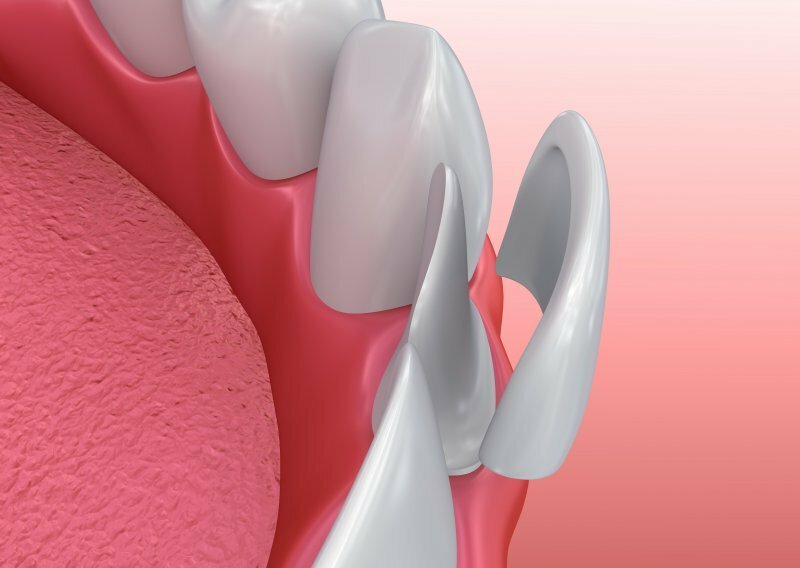 One of the easiest and fastest ways to improve crowded, stained, slightly gapped or misaligned teeth in the smile zone is with porcelain veneers in Philadelphia. For them to last, though, requires proper care. Your local dentist weighs in to provide tips on how to get more miles out of your beautiful new smile! Made from high-grade porcelain, veneers fit over your teeth and mask several types of imperfections. Applied in a two-step process, they are custom-crafted to match the color and shape of your other teeth, leaving you with increased confidence and a more aesthetically pleasing smile. Cared for properly, they can last up to 15 years. When you take the time to brush your teeth, you are protecting your porcelain veneers. Although they aren’t subject to decay, the thin shells depend on the health of the teeth they are affixed to for longevity. Use a Soft Toothbrush – Porcelain is similar to the enamel of your teeth. While it is hard and protective, it is still subject to being compromised if abrasives are used on it. To prevent damage, use a soft toothbrush and clean your teeth carefully. Use a Toothpaste with Less Abrasives – It may seem logical to use a whitening toothpaste to maintain the brilliant color of your teeth, but that can be detrimental when fitted with porcelain veneers, as it can scuff them and tarnish their look. A simple truth to keep in mind is that you can get far more benefit from your dentist by visiting when things are going okay then waiting until a problem arises. Thus, every six months you should be heading to your dentist in Philadelphia for preventive care. These appointments will ensure that your teeth and oral cavity are clean and will allow your dentist to inspect your porcelain veneers to make sure they are in the best condition. Your teeth are designed to bite and chew food and not to be used as tools. So avoid using them to open packages or bottles. Also, biting fingernails and chewing ice can spell disaster for your veneers. Bruxism not only damages your porcelain veneers but also wears down the enamel. 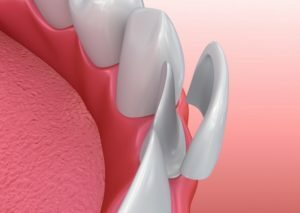 The pressure from the top and bottom arches grinding will eventually cause your veneers to fail prematurely and can lead to a serious dental emergency. If you have this problem, you should reach out to your dentist for help before being fitted with porcelain veneers. A new set of veneers will completely change your life by rejuvenating the look of your smile and strengthening your confidence. To learn more about the process and how your cosmetic dentist can help you enjoy the look you’ve always wanted, reach out to schedule a consultation today! Dr. Gary Henkel earned his BS degree in Biology from Wayne State University and then went on to receive his DDS degree from the University of Detroit Mercy School of Dentistry. Throughout his career, he’s served as a mentor to new dentists as a faculty instructor at the University of Pennsylvania while also pursuing more knowledge through continuing education courses. Dr. Henkel helps patients smile with confidence at Horsham Dental Elements and can be reached for more information through his website.